Lobang Queen: 1 or 1 Deal! 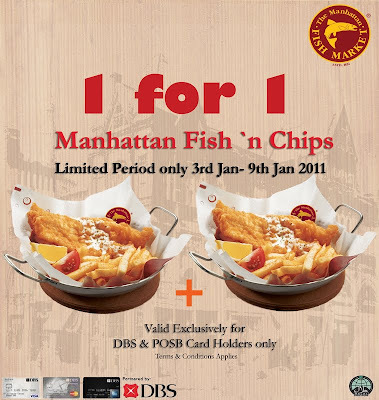 The good people of the Manhatten Fish Market has just alerted me to this deal! 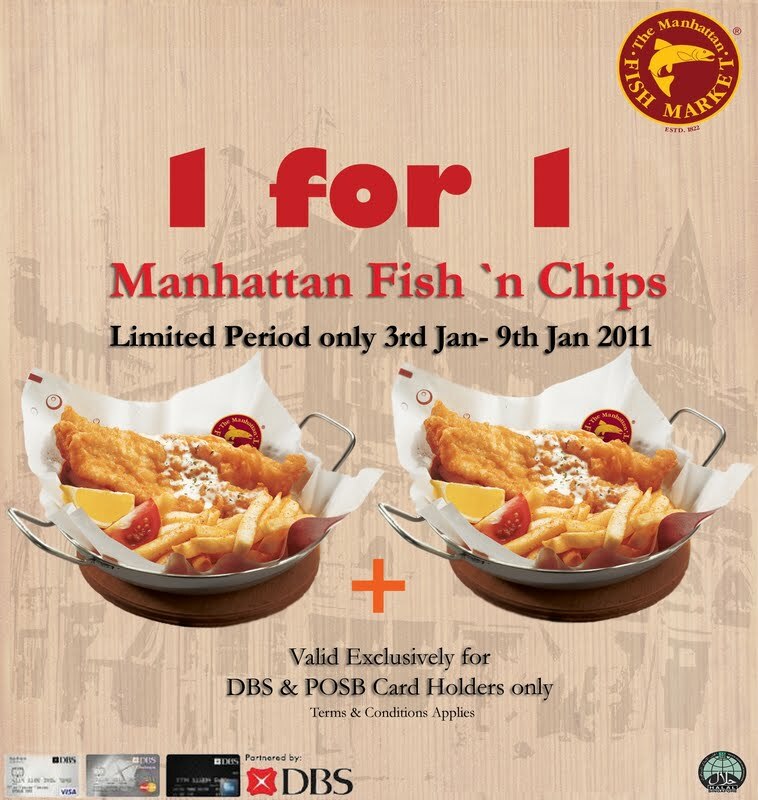 3rd - 9th Jan 2011 only, they have a one for one offer just for DBS and POSB card holders! Those with either bank's credit card can take advantage of this crazy offer, not to be missed! Located at six easy to get to locations!